My research was attacked by thought police in journalism, activist groups funded by billionaires and even the White House. WikiLeaks provides a window into a world I’ve seen up close for decades: the debate over what to do about climate change, and the role of science in that argument. Although it is too soon to tell how the Trump administration will engage the scientific community, my long experience shows what can happen when politicians and media turn against inconvenient research—which we’ve seen under Republican and Democratic presidents. I understand why Mr. Podesta—most recently Hillary Clinton’s campaign chairman—wanted to drive me out of the climate-change discussion. When substantively countering an academic’s research proves difficult, other techniques are needed to banish it. That is how politics sometimes works, and professors need to understand this if we want to participate in that arena. More troubling is the degree to which journalists and other academics joined the campaign against me. What sort of responsibility do scientists and the media have to defend the ability to share research, on any subject, that might be inconvenient to political interests—even our own? I believe climate change is real and that human emissions of greenhouse gases risk justifying action, including a carbon tax. But my research led me to a conclusion that many climate campaigners find unacceptable: There is scant evidence to indicate that hurricanes, floods, tornadoes or drought have become more frequent or intense in the U.S. or globally. In fact we are in an era of good fortune when it comes to extreme weather. This is a topic I’ve studied and published on as much as anyone over two decades. My conclusion might be wrong, but I think I’ve earned the right to share this research without risk to my career. Instead, my research was under constant attack for years by activists, journalists and politicians. 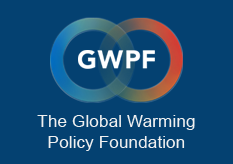 In 2011 writers in the journal Foreign Policy signaled that some accused me of being a “climate-change denier.” I earned the title, the authors explained, by “questioning certain graphs presented in IPCC reports.” That an academic who raised questions about the Intergovernmental Panel on Climate Change in an area of his expertise was tarred as a denier reveals the groupthink at work. Yet I was right to question the IPCC’s 2007 report, which included a graph purporting to show that disaster costs were rising due to global temperature increases. The graph was later revealed to have been based on invented and inaccurate information, as I documented in my book “The Climate Fix.” The insurance industry scientist Robert-Muir Wood of Risk Management Solutions had smuggled the graph into the IPCC report. He explained in a public debate with me in London in 2010 that he had included the graph and misreferenced it because he expected future research to show a relationship between increasing disaster costs and rising temperatures. When his research was eventually published in 2008, well after the IPCC report, it concluded the opposite: “We find insufficient evidence to claim a statistical relationship between global temperature increase and normalized catastrophe losses.” Whoops. The IPCC never acknowledged the snafu, but subsequent reports got the science right: There is not a strong basis for connecting weather disasters with human-caused climate change. Yes, storms and other extremes still occur, with devastating human consequences, but history shows they could be far worse. No Category 3, 4 or 5 hurricane has made landfall in the U.S. since Hurricane Wilma in 2005, by far the longest such period on record. This means that cumulative economic damage from hurricanes over the past decade is some $70 billion less than the long-term average would lead us to expect, based on my research with colleagues. This is good news, and it should be OK to say so. Yet in today’s hyper-partisan climate debate, every instance of extreme weather becomes a political talking point. For a time I called out politicians and reporters who went beyond what science can support, but some journalists won’t hear of this. In 2011 and 2012, I pointed out on my blog and social media that the lead climate reporter at the New York Times,Justin Gillis,had mischaracterized the relationship of climate change and food shortages, and the relationship of climate change and disasters. His reporting wasn’t consistent with most expert views, or the evidence. In response he promptly blocked me from his Twitter feed. Other reporters did the same. I didn’t know reporters had such lists. But I get it. No one likes being told that he misreported scientific research, especially on climate change. Some believe that connecting extreme weather with greenhouse gases helps to advance the cause of climate policy. Plus, bad news gets clicks. Yet more is going on here than thin-skinned reporters responding petulantly to a vocal professor. In 2015 I was quoted in the Los Angeles Times, by Pulitzer Prize-winning reporter Paige St. John, making the rather obvious point that politicians use the weather-of-the-moment to make the case for action on climate change, even if the scientific basis is thin or contested. Or look at the journalists who helped push me out of FiveThirtyEight. My first article there, in 2014, was based on the consensus of the IPCC and peer-reviewed research. I pointed out that the global cost of disasters was increasing at a rate slower than GDP growth, which is very good news. Disasters still occur, but their economic and human effect is smaller than in the past. It’s not terribly complicated. That article prompted an intense media campaign to have me fired. Writers at Slate, Salon, the New Republic, the New York Times, the Guardian and others piled on. In March of 2014, FiveThirtyEight editor Mike Wilson demoted me from staff writer to freelancer. A few months later I chose to leave the site after it became clear it wouldn’t publish me. The mob celebrated. ClimateTruth.org, founded by former Center for American Progress staffer Brad Johnson, and advised by Penn State’s Michael Mann,called my departure a “victory for climate truth.” The Center for American Progress promised its donor Mr. Steyer more of the same. Yet the climate thought police still weren’t done. In 2013 committees in the House and Senate invited me to a several hearings to summarize the science on disasters and climate change. As a professor at a public university, I was happy to do so. My testimony was strong, and it was well aligned with the conclusions of the IPCC and the U.S. government’s climate-science program. Those conclusions indicate no overall increasing trend in hurricanes, floods, tornadoes or droughts—in the U.S. or globally. In early 2014, not long after I appeared before Congress, President Obama’s science adviser John Holdren testified before the same Senate Environment and Public Works Committee. He was asked about his public statements that appeared to contradict the scientific consensus on extreme weather events that I had earlier presented. Mr. Holdren responded with the all-too-common approach of attacking the messenger, telling the senators incorrectly that my views were “not representative of the mainstream scientific opinion.” Mr. Holdren followed up by posting a strange essay, of nearly 3,000 words, on the White House website under the heading, “An Analysis of Statements by Roger Pielke Jr.,” where it remains today. I suppose it is a distinction of a sort to be singled out in this manner by the president’s science adviser. Yet Mr. Holdren’s screed reads more like a dashed-off blog post from the nutty wings of the online climate debate, chock-full of errors and misstatements. But when the White House puts a target on your back on its website, people notice. Almost a year later Mr. Holdren’s missive was the basis for an investigation of me by Arizona Rep. Raul Grijalva, the ranking Democrat on the House Natural Resources Committee. Rep. Grijalva explained in a letter to my university’s president that I was being investigated because Mr. Holdren had “highlighted what he believes were serious misstatements by Prof. Pielke of the scientific consensus on climate change.” He made the letter public. The “investigation” turned out to be a farce. In the letter, Rep. Grijalva suggested that I—and six other academics with apparently heretical views—might be on the payroll of Exxon Mobil (or perhaps the Illuminati, I forget). He asked for records detailing my research funding, emails and so on. After some well-deserved criticism from the American Meteorological Society and the American Geophysical Union, Rep. Grijalva deleted the letter from his website. The University of Colorado complied with Rep. Grijalva’s request and responded that I have never received funding from fossil-fuel companies. My heretical views can be traced to research support from the U.S. government. But the damage to my reputation had been done, and perhaps that was the point.